Aliens could be having a hard time getting to Earth — or anywhere — because they physically can’t get off their home planets, a new paper suggests. 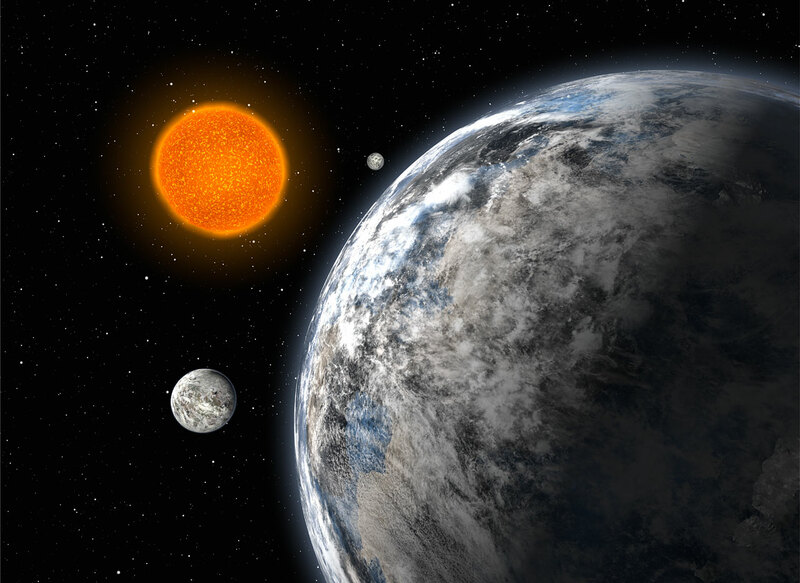 The new research conducted by independent scientist Michael Hippke, who is affiliated with the Sonneberg Observatory in Germany, finds that the gravity on super-Earth exoplanets could be inadvertently preventing alien life from lifting off in rockets to leave their planets. Hippke’s work, which can be found on the pre-print server ArXiv, focuses on super-Earths, or exoplanets higher in mass than Earth but lower than that of a gas giant like Neptune. Hippke argues that intelligent alien civilizations probably use chemical rockets, vaguely similar to the ones we have here on Earth. But because the gravity on super-Earths is stronger than the gravity here on Earth, Hippke says that even if alien civilizations developed space programs, it’d be enormously difficult to create a rocket capable of launching through such a force. Artist's rendition of super-Earth Kepler-186f. This is a seriously wild idea on top of some already far-out alien stuff. But as SETI senior astronomer Seth Shostak explains in NBC News, there are even more issues with Hippke’s hypothesis. At this point, no one knows whether or not alien life exists on distant exoplanets. In the event that it does, Shostak argues that a denser atmosphere could incentivize more aviation development. All of this is to say that there’s a lot of speculation going on here. Nothing is definite. This is not a confirmation of aliens but rather an exercise in thinking about what they might be like. If they are out there, hopefully aliens are working on coming to our planet rather than reading our bad tweets.